Vancouver’s West End Art Plan – You’re Up! What would Vancouver’s West End neighbourhood be like if it were even richer with arts and cultural opportunities? 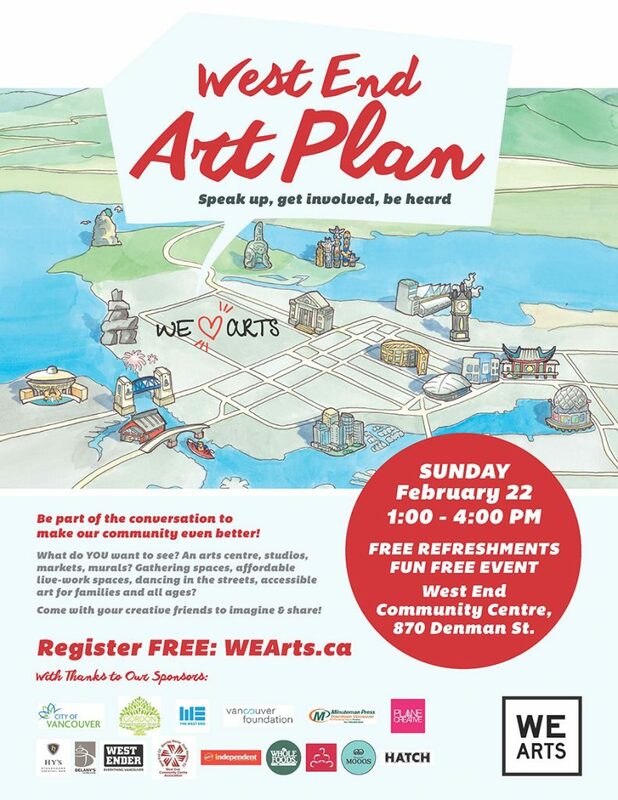 Enter the WE Arts West End Art Plan, a community movement to introduce a more detailed vision for arts activities and resource distribution for the West End area. Hollyburn Properties is intent on actively contributing to building resilient neighbourhoods that enhance the lives of our rental residents, and we need your help! Vancouver’s West End residents, businesses, community groups, families and artists of all disciplines, cultures and ages are invited to attend the Art Plan “town hall” meeting. Share your thoughts and ideas in an atmosphere of creative exploration, workshops and dialogue. This first major public event is next Sunday, February 22nd, from 1-4pm at the West End Community Center. It’s free! Get out there and be heard. Previous Post Happy Chinese New Year 2015! Next Post Why Own When You Can Rent?